The Middle East edible oil co-products and by-products market has, over the years, witnessed a robust pace of expansion in terms of aspects such as the number of factories in operation, workforce employed, and the overall production capacity. The market has significantly benefitted from these developments over the years as from the rising population of affluent people in the region. One of the most popular product types of the market - dried soap stock - is known to be a popular additive in animal feed. Dried soap stock is considered a nutritional additive to animal feed as it improves the pelletizing of animal waste and offers a greater flexibility in processing and utilization. Generally, dried soap stock is treated with mineral acids and transformed to a mixture of crude fatty acids commonly called acidified soap stock. Other types of edible oil co-products and by-products include several oil-based distillates, acids, and sludge. Owing to the vast applications of these co-products and by-products produced by the Middle East edible oil industry, their market is expected to expand at a healthy pace in the next few years. This report presents a comprehensive analysis of all crucial segments of the market and forecasts the future growth prospects for the period between 2017 and 2025. Of the variety of products produced in the Middle East edible oil co-products and by-products market, including hard oil fatty distillate, dried soap stock, pure soft oil fatty acid distillate, palmitic acid, stearic acid, pure acid oil, earth distillate, and sludge, the segment of dried soap stock accounts for the dominant share in terms of demand. The segment is likely to remain in high demand and account for the dominant share in the overall market over the report’s forecast period owing to the increased demand from the animal husbandry sector. The demand for low quality soap created from dried soap stock is also projected to increase steadily owing to its biodegradable nature and its use in powder detergents as an anionic surfactant. 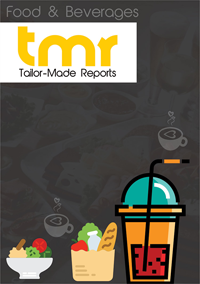 From a geographical standpoint, the report segments the Middle East edible oil co-products and by-products market into Saudi Arabia, Egypt, Iran, Sudan, Algeria, Morocco, and Turkey. It is estimated that across most of these countries, the demand for dried soap stack will remain high. In Saudi Arabia, the demand for dried soap stock will remain high owing to the vast usage of the product in the production of detergents and soaps. Iran, being a leading producer of detergents and soaps, also presents massive potential for the promising expansion of product such as pure acid oil and dried soap stock. The demand for fatty acid distillates is expected to rise at a considerable pace in Morocco and Egypt in the next few years. Turkey has shown considerably high demand for hard oil fatty acid, thanks to the rising disposable incomes and the rising production of detergents and soaps in the country. The trend is likely to remain strong in the next few years as well. Some of the leading vendors contributing the Middle East edible oil co-products and by-products market are Rade Chemicals, Chemipakhsh Iran Co. Ltd., Mallinath Group, VVF L.L.C., Genome Specialities Fzc, Cayman Chemical Company, Iran Chemical Provider Co., A & B Chemical Corporation, and Oleo Misr.